Residents who applied last year for their permits by supplying rego details and proof of ownership to Council will have recieved their permits for display in car windows by Jan 29 2016. Late-comers will be processed as quickly as possible - talk to customer service on 94904222 for the easiest way to apply. Most customer service staff are very familiar with the Trial in Fairy Hills. Although passed by Council on June 9th 2015, with high level School representatives in attendance, the IGS did not tell their staff about the trial and its restrictions until day 1 of the School Term this week. Some residents have not absorbed the details of the Trial either. Some IGS staff, on learning of the scheme through social media and from local residents just before Term started, have organised alternative forms of transport to school such as cycling and walking. This has meant that parking limits are already being adhered to quite well and there is a better use of the existing car parks at Locksley and Russell St - despite the walk from these car parks that usually encourages staff to park in the local streets instead. However not all part- time staff are currently at the school, and next week will be a better test. Over the Xmas break - Some IGS senior staff have already been alarmed at the possible ramifications of the scheme and have sought the help of the Council to have some of the parking near the admin building between Rose and Merton Sts reverted to 24 hr parking with no restrictions. This was implemented before week 1 of Term 1. At the same time the school appears to have defaulted on its committment to provide extra car spaces on site by the start of 2016. The School is engaged with Council in trying to find other solutions - A Report will go to the Council Meeting of the 8th Feb 2016 - residents are encouraged to attend and review the officer report on this in the Council Agenda Papers to be published on the Friday before the Council Meeting - See Councils website - Google Banyule and Agenda - Please also contact our Fairy Hills website with any comments you may have about that report as soon as you can. 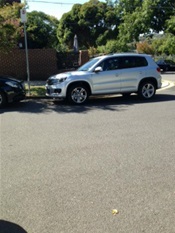 A notice has been sent to the Ivanhoe Grammar Residents Working Group "IGRIG"
The Ridgeway was given changed signage in 2015 (on the eastern side ) to remove some IGS staff parking ( 20 spaces ) and allow more parent drop off and parking space for school collection and drop off - This has helped ease congestion but whether it specifcally helps those who need it most ( ELC parents who must delievr their children into the classroom ( and therefore leave the car parked rather than just drop off ) - we are not sure - as the spaces are someway up the Riudegway away from the ELC at Lower Heideberg Rd. With the 2 hr restrictions now in place around the school though - the other surrounding streets ( including heavily parked Marshall St will not be so heavily parked with teachers - leaving many more opportunities for ELC parents. With the development of the ELC into a 42- 46 child facility the community has borne a heavy burden of parent parking and often illegal ( therefore dangerous ) behaviour - as deperate parents try to find a space to park. It is hoped the parking trial will make the streets much safer for all parents and their children as well as residents. Longer Term - ideally the school should provide its own on-site system for the this type of longer stay parent parking ( as do many other schools - such as MLC and even to some extent Fairy Hills Kindergarten - which has much fewer resouces than IGS ) - An additional site for the ELC - with parking included - would be most desirable longer term and enable this happen.There is no room at the current campus. The new signs make the streets more urban which has upset some residents They also help delineate legal parking distances from corners which some hope will help with encouraging safer parking. The resident permits, which grant exemptions from these 2 hr restrictions, - enable each eligible household to have up to 2 X Car Rego and Household identified permits (in the form of stickers), and up to 2 X Household identified Vistor Permits( in the form of cards). Across Banyule Multi-Unit developments built after late 2010 are not eligble for these permits. This discourages the overuse of the residential streets caused by developers who do not provide enough residential parking in the developments they build. How do parking officers inspect the permits ? The permit stickers and cards are placed in the lefthand windscreen position similar to rego stickers and are not tranferable to non visitors to that particular household. There are sanctions involved for unauthorised transfer. There is a limited area of parking available to permit holders that is clearly marked on the displayed stickers and signs - This is quite close to the particular household that owns the permit. Having more than 2 visitors ? 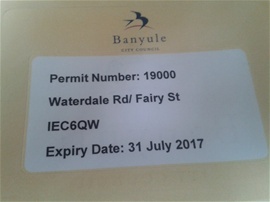 As is the case in other areas of Banyule, Residents can also apply for temporary permits for tradespeople and for special functions when more visitors are expected. Mr Sanjev Siva, Councils officer in charge of the Trial has gone on leave for 3 weeks starting Friday 29/1/16 but will continue to manage any issues with the trial when he returns - At least two other Council Officers, Mr Gourav Mongia and Ms Anna Caedo are also able to deal with queries about the trial. Sanjev is the person who has read all the submissions made by residents completing the survey and has also fielded most calls and arranged the contractors placing the new signs - He is very experienced and has been responsive to any problems that have arisen. (See the letter below from a resident) This section of Elphin street is quite close to the school and some residents were surprised that the resident survey conducted in 2015 came out in favour of a non signed street. Together they organised a discussion around their street - that resulted in a majority petition to be included in the Trial. This will go to the Council Meeting of the 8th Feb 2016 for discussion but has already been approved by the officers in an expectation of its acceptance, and the 2 hr signs have gone in for the start of the school year - So their street is not the only one with the excess IGS staff and student parking. Community Meeting with Council on the Scheme ? Unfortunately a promised community meeting with Council did not eventuate prior to the Trial being designed, and so the type of signage ( Hours and Time limits ) and the use of alternative signs (not requiring permits) was not discussed with the community. Fairy Hills Residents Group will continue to make mention of this and encourage Council to engage more intimately with the community in the future. 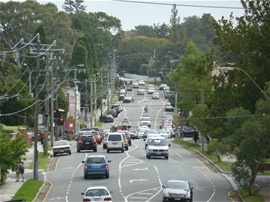 The results of the Survey Comments Section have not been released, but it is understood that residents were not happy to have such a scheme, longer term, if this can be avoided in any way, and that one of the prime concerns in voting for the trial was to encourage Ivanhoe Grammar School to provide more staff parking or reduce its overall staff ( many of whom are involved in Non Teaching functions) to the levels it was permitted by Council under its current Plan.The student population has also been over the schools permit limit for some years. In addtion to the Parking Scheme applying pressure on IGS, the school has been told by Council to provide an interim 47 spaces that Council determines is the 2000 Plan shortfall for its existing staff - By the start of the 2016 School Year ( or else reduce its staff ) This will be an interim measure until those spaces ( and other spaces for the schools projected expansion )can be provided by the NEW, IGS proposed, on-site car park under the school's south oval. Details of the Schools New Plans and expansion can be foun d on Councils website ( Google Ivanhoe Grammar and Banyule Council to find the quickest route to the pages about the Schools NEW Plan. Unless this ocurrs it is perhaps unlikely that residents will vote to lift the parking restrictions after 2017 - as staff will again choose to park in the residential streets if they have to walk any distance to class. Residents will also be examining how adeqaute the new car park is - in terms of size ( There will still be a significant shortfall in spaces needed to completely accomodate all staff under the current plans ) By contrast IGGS did build a car park big enough for all staff under its recent major new building program. 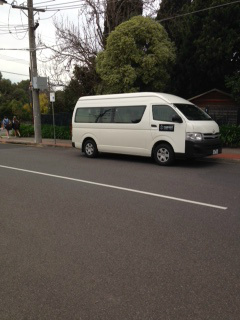 The Girls School has consistently ensured staff parking on site through the constant vigilence and sometimes daily involvement of its various principals. Ivanhoe is a middle ring suburb of Melbourne experiencing rapid growth due to Govt Policy. This impacts on what parking remains available in our streets. However, even without this pressure, being fully realized, IGS has provided Fairy Hills steets around the school with an amenity problem not of our own making. The Parking Scheme is Councils solution to the problems residents report. A Council /Resident Meeting about the scheme had been promised but has not materialized. Residents are still hoping for more detailed engagement with the Ward Councillor and officers about the scheme. From the perspective of an Elphin Street resident and further to our completed survey form mailed to you last week, we wish to add these further points of view. 1.) As stated our primary preference is not to have any parking restrictions in Elphin Street as a resident permit scheme will be an additional inconvenience and burden to us. 2.) Based on our observations from living opposite the entrance to the IGS southern car park in Elphin Street, we know that there are only one or two part time teaching staff who regularly park in the street and there is no great issue at present. However our concern is that if the other nearby streets have parking restrictions introduced, then that would cause other staff and students who choose to park in the nearby streets to then migrate into Elphin Street. Therefore we feel that we have no practical or alternative choice in the matter but to go along with the trial. We know from talking to those few staff who park in Elphin Street that the IGS could manage their on-site parking much better and the management are not proactive in encouraging staff to use the onsite parking facilities by offering access swipe cards to part time and temporary staff for opening the security gates to access the southern car park. The on-site parking in the southern car park is generally significantly under utilised during school times and yet some part time staff park in Elphin Street. 3.) Since the parking issue is not of the resident’s making (but due to the IGS) then we feel that if permanent restrictions are adopted then residents should still not be charged the fees tabled in Banyule Council’s Residential Parking Permit Policy. 4.) Details of the survey should be made available to all residents in the areas concerned. Also as a gesture of good will, the analysis of the survey and the parking trial data should be carried out by an independent body and the details made public. 5.) 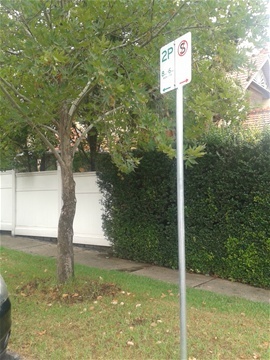 The proposed parking restrictions (times) in Elphin Street will do little to mitigate the short term parking congestion caused by IGS parents and other members of the school community attending special events either during school hours or after hours and weekends; such as swimming carnivals, concerts and musical performances etc. These regularly occur, create extreme parking havoc and impact on local residents even though they might only last for a few hours. We do acknowledge however that this year there has been a genuine improvement and effort by the IGS to have the security gate open after normal school hours on weekdays for music group parking at Locksley. 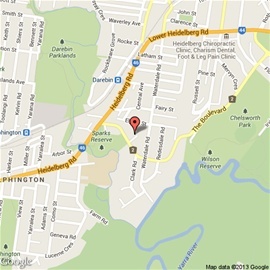 Parents visiting the Locksley Arts Centre before 3:00 pm having no option but to park in Elphin Street. All the while we observe there are many unfilled parking places available inside the car park area whilst parents and other visitors are forced to park in Elphin Street, thus limiting any street parking available for local resident’s visitors. The reason given by the IGS for keeping the gates closed for security purposes is inconsistent with the gates then being opened automatically from 3:00 pm until later in the evening on weekdays. A general visitor/contractor parking area plus an unloading area needs to be made available within the southern car park area and the gates remain open during normal hours to facilitate such matters. 7.) The restrictions will not avoid the need for Council and the school to address the matter for providing separate on site parking for contractors vehicles during the construction of major projects like the proposed Sports Centre. From our experience with the Locksley Arts Centre renovations where even the onsite car park was largely part of the construction area, the impact on Elphin Street was very significant from not only contractor’s vehicles but also heavy equipment and materials unloading. A repeat of such issues must be avoided with other construction projects. A NEW Resident Parking Scheme FREE Trial has arisen from public consultation on the Ivanhoe Grammar School Development Plan. The IGS Plan was approved ( - with limitations and extra specific documentation required), - at the June 9th 2015 Council Meeting. As part of the approval, a Fairy Hills wide Resident Permit Only Parking Scheme Trial will be developed in consultation with the community surrounding the school. The trial of extensive permit parking around the school will encourage staff to park on the school site, and students to leave their cars at home. It will also protect resident amenity from the encroachment of Multi Unit Development. All recent approvals for MultiUnit development as part of the Ivanhoe Structure Plan ( such Plans have been demanded by all the various State Govts since at least 2006 ) - have contained large parking waivers and we believe parking over flow from these developments along Heidelberg Rd and Lower Heideleberg Rd will add signifiocantly to the exisiting IGS parking demand - already experienced over the last few years as rising sharply. A resident permit parking scheme seems to be needed to save us from this tide of all day ( and potentially all night ) parking. No multiunit or even single subdivison second units approved after 2010 will be eligble for permits. You will also receive a letter from Council to have input at a public meeting. The Fairy Hills Ivanhoe Resident Group emails will keep you up to date on any significant issues which may not be covered in that letter. The propsoal for the parking scheme has been developed so far without input from residents - This is most disappointing as we had lobbied the Ward Councillor to have such a meeting first - however, following some an analysis of the results of the survey we are hoping to have a meeting to discuss how the scheme will operate and what will happen when the trial is finished. Stay tuned ! Other complaints over several years have related to IGS staff and parent parking and drop off pick up, congesting local streets and creating hazardous situations in many instances around the school. 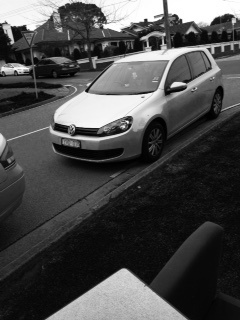 Car on north side of Latham St - on the corner of Latham and The Ridgeway - illegally parked on yellow lines near the corenr and facing the wrong way >>>>? While the new IGS Plan will allow for any extra parking needed by the increase in senior senior school staff as the school grows - there is already a deficit of parking from the school previous approved Plan; and a great deal of hazard and congestion created by the Early Learning Centre ( ELC) in the north of the school. With around 44 students at the Early Learning Centre daily, a large parking demand is created close to the normal school drop off and pick up times. This demand as not anticipated in the schools original 2000 Development Plan. The local steets are just inadequate to cope with this demand. By discouraging longer term street parking by staff and other uneccessary visitors near the school at the peak school times - more space will be made available for the IGS ELC parents. The lines near corner were previously paintred white but were recently painted yellow in Fairy Hills by Council to give greater highlight to the legal parking distance from a corner. 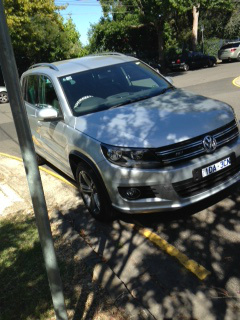 More parking officers will be needed even with permit parking to change this behaviour ( at our epense ? ) Maybe not if they are able to catch people. New higher fines in Banyule ate designed to recoup the costs of extra parking officers. This parking adds to oncoming traffic visibility problems experienced when exiting the cross streets with Waterdale Rd. This photo - Marshall st Intersection (fore-ground) and Waterdale Rd intersection (rear-ground ) on Lower Heidelberg Rd main arterial - "School pick up on a good day"
It would not help students crossing from Darebin station and would duplicate the current underpass built for this purpose. It could also be dangerous for traffic on a main arterial coming arpound the westerly curve near Waterdale rd and perhaps stopping suddenly in built up traffic queues. Perhaps an on site bay is required ? - to deter interlopers ? Presumably the buses park in the Ridgeway ( including at peak times ) because it is safer ? When there are large numbers of primary students such alighlting or catching a large bus, such as for school excursions, the Lower Heidelberg Rd fence setback may be inadequate for safety? The school has been urged by Council to develop a GREEN TRAVEL PLAN which will address staff and student travel to school. A Walking School Bus has been proposed and better amenities for staff who ride a bicycle to work. At present students crossing Waterdale Rd must contend with very dangerous fast moving traffic and poor lines of visibilty due to parked cars. IGS should have supervised school crossings in both Waterdale Rd ( to help with access to and from Darebin Station ) and in The Ridgeway ( two crossings - one for the Junior School and ELC parents at Latham St and one near the Chapel Entrance for years 7 and 8 at least. Two crossings so close together could work in concert and would be able to stop all traffic if an accident( or a misdemeanor) occurred. 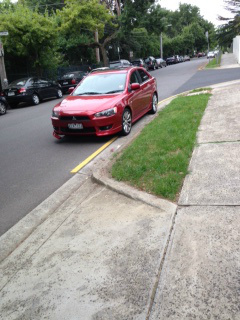 What about IGS staff parking in local streets ? Where will they park if the new car park is only for some staff - not all ? If it were to be closer to the new proposed Multi Storey Senior Centre at the end of Merton Street - it might be better used by senior school staff - thus leaving any remaining street spaces on the school boundary for Junior School staff. I suggest that Banyule Council should make the results of this survey available to their residents and they should also outline how they will monitor the trial.